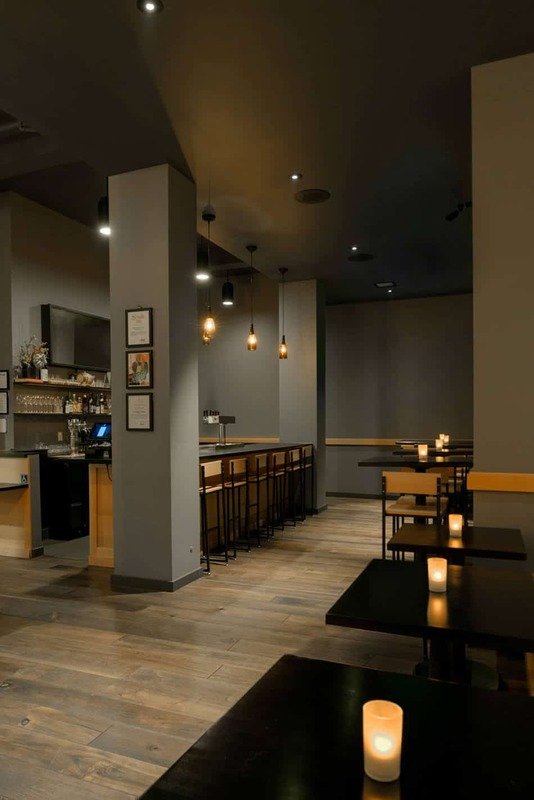 This upscale restaurant is in the heart of Bernal Heights. Working with this old building was challenging because we started from scratch with nothing in this space. 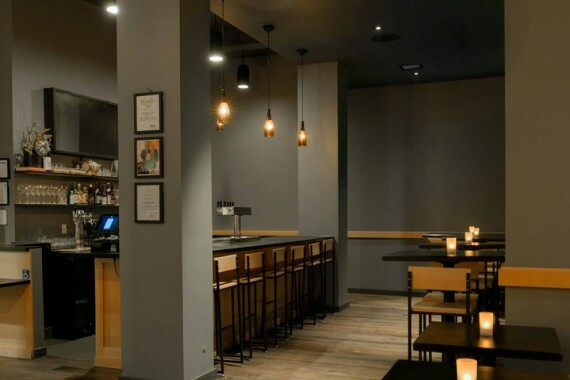 We had to build a kitchen because this space had not previously been a restaurant. 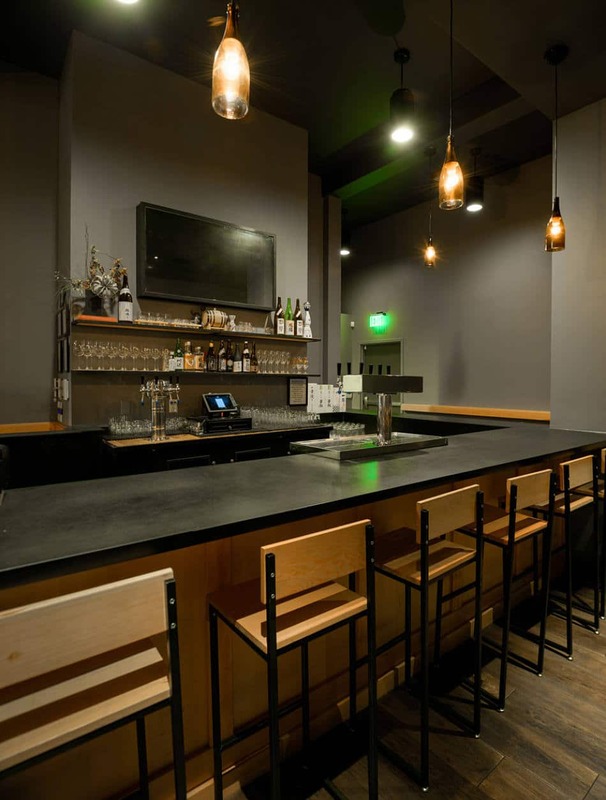 This location has much more square footage than the owners’ previous restaurant space, which was very tiny. We worked very closely with the owners on the design, bringing their open floor plan request to life. All custom millwork was done on this project. 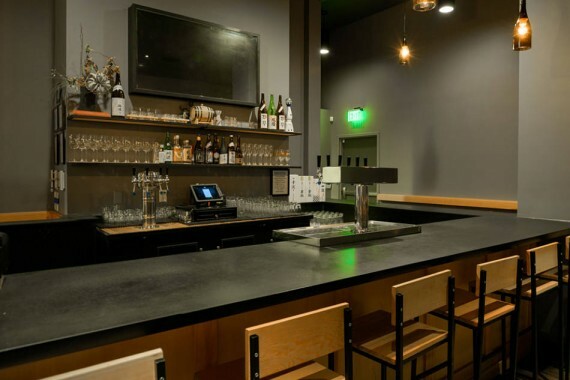 We built the sushi bar and the ni bar with countertops. 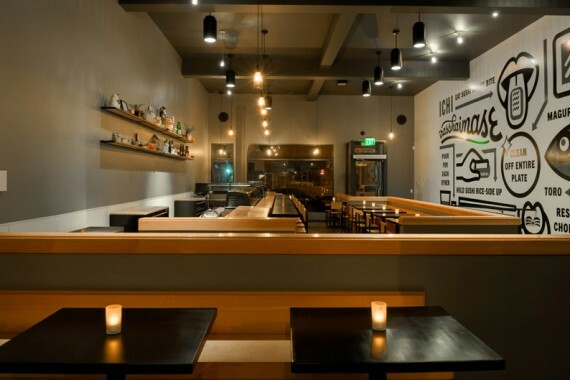 We built seating in the sushi bar and restaurant to seat 30, and the ni bar to seat 40. 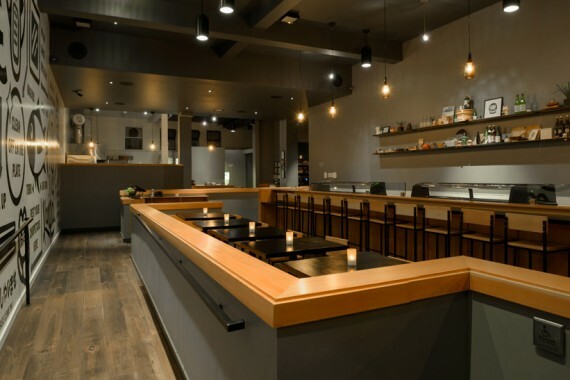 We used stained grade, vertical grain Douglas Fir throughout the entire space to get the look and feel of an authentic Japanese restaurant. Wainscoting was installed under the bars and counters. During this project, there were several handicap accessibility issues that we had to remedy. We worked with Lifebox Studios for the architectural rendering and designs. 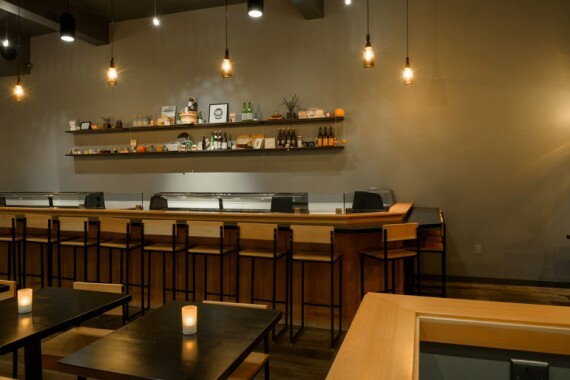 ICHI Sushi and NI Bar has already been recognized in the restaurant industry since their move. 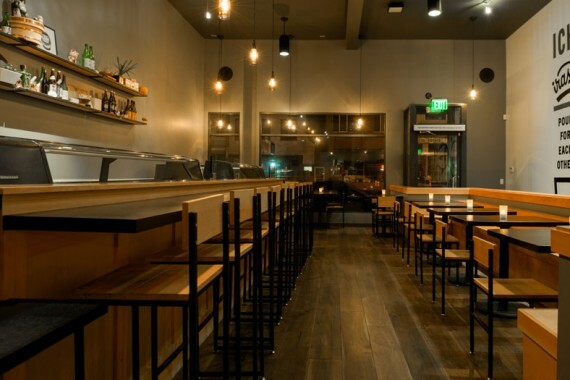 The awards and recognition are as follows: Winner of the Reader’s Poll for Best Sushi by San Francisco Weekly, voted one of the Top 100 Restaurants by Michael Bauer for 2014 from the San Francisco Chronicle, and recognized by Mayor Ed Lee during Small Business Week 2014.